For those who played under Ted Ginn Sr. at Glenville High School, the pride they had while wearing the familiar black and red jerseys stays with them long after they leave the Cleveland school. Three former Glenville High School football players are looking to carry on the tradition that started with Super Bowl XLVII participants Donte Whitner and Ted Ginn Jr., who were two of the nearly 10 former Tarblooders in the NFL last year. Hawaii defensive back Mike Edwards, Louisiana Tech safety Jamel Johnson, and Toledo tight end Cordale Scott were three of the 14 Cleveland-area natives who worked out in front of the Cleveland Browns’ scouting department and coaches at the team’s Berea training facility Friday. Johnson, Edwards and Scott said playing for Glenville’s coach, Ted Ginn Sr., was a unique experience because he represented a father-figure in their lives. 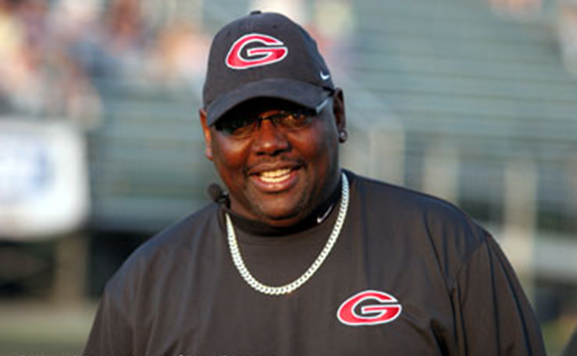 Ginn was a volunteer coach at Glenville from 1976-86, and moved into an assistant’s role in 1986. In 1997, Ginn became the Tarblooders’ head coach, and has taught his charges many lessons since that time. One of the lessons Ginn passed on to his players is the importance of representing the program and serving as an example for the next generation of Tarblooders. Labels: NC Sports Clients Give Back, NC Sports Coaches in the News, ted ginn jr., ted ginn sr. 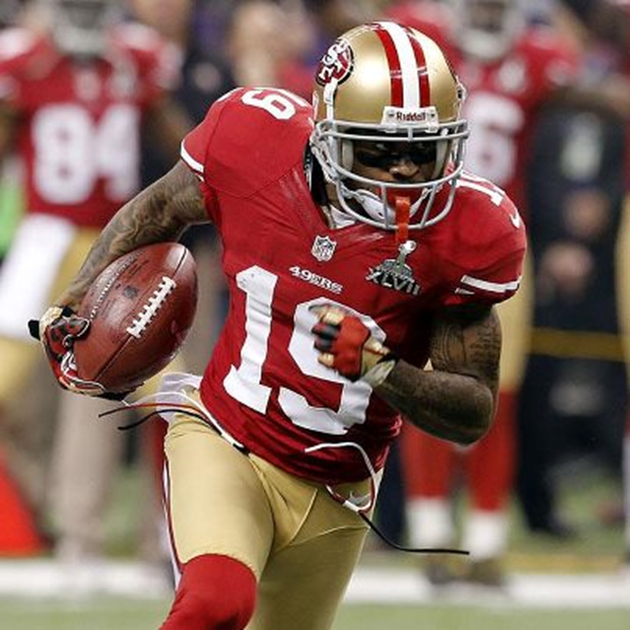 The Carolina Panthers made a highly underrated move last week when they signed former San Francisco 49ers wide receiver Ted Ginn Jr. An experienced veteran with many previous roles, Ginn Jr. is expected to come in and contribute in multiple aspects right away. During his career dating back to 2007 when drafted by the Miami Dolphins, Ginn Jr. has done most of his damage as a return specialist. He has great speed and agility in the open field and worked the majority of his plays on this side of the ball during the start of his career. In San Francisco, Ginn Jr. became only the 12th player in NFL history to return a kick and a punt in the same game in 2011. Last season he was third in the NFC with a 10.3 yard punt return average. Already having a total of six return touchdowns in his still young career with a 23.2 yard average on kickoff and 11.0 yard average on punt returns, Ginn Jr. knows what it takes to succeed on special teams. 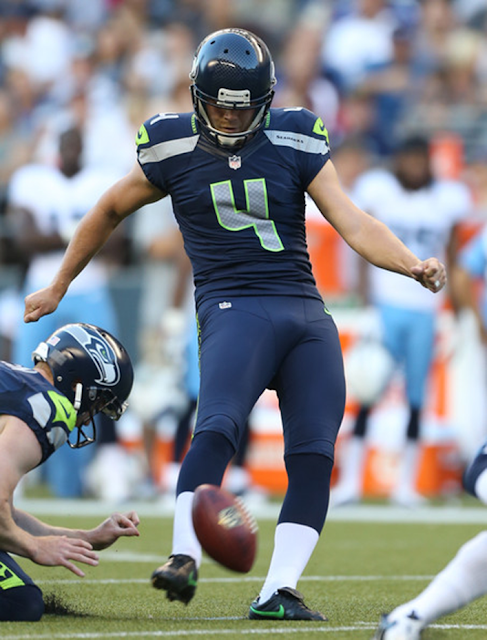 What he has been able to do as his career progressed is contribute on the offensive side of the ball when called upon. For his career, he has 161 catches for 2,048 yards and six touchdowns. He will give quarterback Cam Newton a solid option in the slot with Steve Smith and Brandon LaFell lining up on the outside most often. Ginn Jr. has also shown flashes in the running game, which is the scariest part of this signing. With Newton and Ginn Jr. combined with DeAngelo Williams and Jonathan Stewart, the Panthers could have quite the rushing attack next year. Not to mention the big fullback/halfback Mike Tolbert coming in on goal line situations, they have many capable bodies in the running game which will prove to keep players fresh in long stretches of the season. While not being anywhere near the likes of Smith, Ginn Jr. will do some damage for the Panthers next season if used correctly. Carolina fans should be excited about this somewhat overlooked move and looking forward to seeing Ginn Jr. in the end zone a handful of times in 2013.